Peter Friend obtained his medical degree (MB BChir) from the University of Cambridge. He is a Fellow of the Royal College of Surgeons (Eng) and has a doctoral degree (MD) from the University of Cambridge. After specialist training, he spent a year as Assistant Visiting Professor of Surgery at Indiana University, USA. In 1989, he returned to the UK as University Lecturer in Surgery (Honorary Consultant), University of Cambridge; he was also Fellow and Director of Studies in Medicine, Magdalene College, Cambridge. In 1999, he was appointed as Professor of Transplantation, University of Oxford (Honorary Consultant); he is also Director of the Oxford Transplant Centre and Fellow of Green Templeton College. Peter Friend’s clinical commitments include organ transplantation (kidney, pancreas, intestine) and hepatobiliary surgery. He heads a translational research group and is author of scientific papers and chapters on clinical transplantation, organ perfusion, immunosuppression, monoclonal antibodies, xenotransplantation, and hepatobiliary surgery. 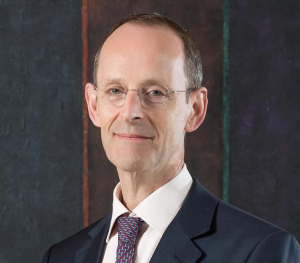 He is chairman of the Multi-visceral and Composite Tissue Advisory Group to NHSBT and a past-president of the British Transplantation Society. He is the Royal College of Surgeons national specialist lead for transplantation research.